Core set of scientific names updated daily from MycoBank.org. Users cannot add records to this database, but can update data fields, including synonymy. This category contains MycoBank names with a status of illegitimate, invalid, unavailable, or deleted. New scientific names can be added to the MycoMap database in this section. Names listed at Mushroom Observer that are endemic to their dataset. Users cannot add records to this database, but can update existing records. 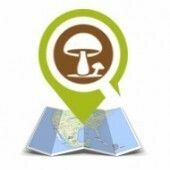 These names are updated daily from MushroomObserver.org.